This paper addresses the possibility that, in the future, cities may experience greater independence of nation-states than has been the case heretofore. The weakening of states relative to other institutions involved in the development of a supranational level of sociocultural integration makes possible a new kind of interdependence between multinational enterprises and urban communities. In this developing future, cities can provide the loci for certain operations of what is essentially a supranational system based on function rather than on territory. The first part of the paper is a reminder that in anthropology the city has been seen primarily as a reflection of the state. In the second part I urge more careful consideration of the fact that the city ( as a developed form of local community) and the state (as a particular form of territorially based society) represent systems at different levels of integration, and that the degree of dependence or autonomy between systems at different levels is variable. In the third part I present evidence of the generation of a new sociocultural system at a level of integration above that represented by nation-states. In the fourth, I discuss some of the implications of that development for nation-states. Finally, I conclude with discussion of the implications for cities themselves of multinational enterprise and supranational integration. This chapter was originally presented as “Multinational Enterprise and Urbanism,” in the Key Symposium of the Southern Anthropological Society Annual Meeting, Memphis, February, 1979, and then was published as a chapter in Cities in a Larger Context (Athens, GA, Univ of Georgia Press, edited by Thomas Collins). Wolfe, Alvin W. "Multinational Enterprise and Urbanism." 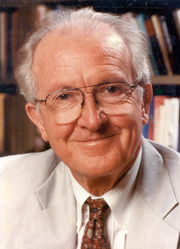 Thomas W. Collins, ed., Cities in a Larger Context. Proceedings of the 14th Annual Meeting of the Southern Anthropological Society. Athens, Ga.: University of Georgia Press, 1980: 76-96.